The marauding butchers of militant group Boko Haram are still devouring Nigeria. But Africa's most populous nation is under intense strain of the most virulent type: ethnic hate speech. Things have deteriorated so badly that fears of another ethnic war in Nigeria are rapidly rising. Recently, 27 Nigerian writers, concerned about the escalating tensions from different ethnic groups in the country, released a public statement  condemning this rising trend of ethnocentric hate speech. Some of the writers include myself, Tade Ipadeola  (poet and winner of the 2013 Nigeria Prize for Literature), Kola Tubosun  (writer and linguist), Ikhide Ikheloa  (writer and critic), Chika Unigwe , (multiple award winning novelist), Abubakar Ibrahim  (novelist and winner of the 2016 Nigeria Prize for Literature), among others. The “us” against “them” rhetoric that ignited bloodshed of a bestial magnitude since independence has re-surfaced again. A new breed of ethnic entrepreneurs seem hell-bent on causing anarchy for political motives. The lessons of our history are being ignored. Strength in diversity is considered weakness… We strongly believe that no amount of social grievance against the government can justify this level of irresponsible ethnocentric hatred currently being peddled by a growing number of disgruntled groups in this country. Similarly, we are mortified by the initial nonchalance and apparent misguided handling by the authorities of the root cause of hate speech in the country. Hate speech in recent months has come from multiple factions. One troubling example emanates from the south-eastern part of the country, where Nnamdi Kanu , the leader of the Indigenous People of Biafra  (IPOB), has converted Radio Biafra  into a tool that not only facilitates political mobilization around his calls for secession from the Nigerian state, but also as a platform for spewing hate speech  directed at his opponents. Broadcasts on Radio Biafra have been characterized by toxic rhetoric aimed at other ethnic groups in Nigeria. The station has described the country as a “zoo” that the IPOB intends to “destroy.” However, Kanu claimed that his reference to Nigeria as a zoo was “to facilitate societal change “. Kumuyi  is a Pentecostal preacher and Aba  is a city in south-eastern Nigeria. The listener continued, pleading with state authorities to assert control over the situation before “innocent lives” are lost. 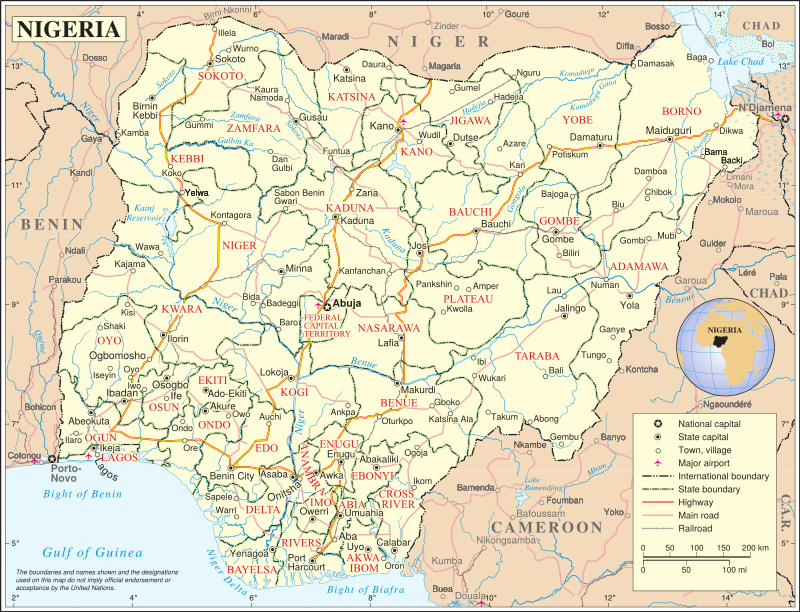 Nigeria is a federated state with 500 ethnic groups and about 200 languages. But ethnocentric violence has bedeviled the West African nation since independence. The 28 years of military dictatorship in the country suppressed free speech and exacerbated the ethnic divide. Thus everything was viewed from the prism of us versus them . Buhari’s sectionalism is not only unprecedented, it could not have come at a worse time. The reality today is that Nigerians are deeply divided. Seventeen years of dashed hopes of progress under a democratic dispensation have reopened the deep fissures in the polity and polarised the populace into mutually suspicious camps. Sectarianism and ethnicity have been rearing their poisonous heads. As a first step, since the Igbo have clearly abused the unreciprocated hospitality that gave them unrestricted access to, and ownership of landed properties all over the North, our first major move shall be to reclaim, assume and assert sole ownership and control of these landed resources currently owned, rented or in any way enjoyed by the ingrate Igbos in any part of Northern Nigeria… Secondly, with the effective date of this declaration, which is today, Tuesday, June 06, 2017, all Igbos currently residing in any part of Northern Nigeria are hereby served notice to relocate within three months and all northerners residing in the East are advised likewise. This incendiary document from the northern youths to the Igbos drew the ire of those from the oil-rich Niger delta part of Nigeria. They described the statement as “tragic and more treasonable than the offence allegedly committed by Nnamdi Kanu, the leader of IPOB, for which he was held in detention for about a year.”‎ Kanu who was arrested in 2015 on an 11-count charge of terrorism and treasonable felony, was granted a bail  this year. The confusion has been heightened by the absence of President Buhari who “left for a fresh round of treatment in the British capital on May 7 and has not been heard from or seen since.” His deputy, Professor Yemi Osinbajo, who has been acting in his steed, has been consulting with various some representatives of ethnic groups in the country. However, the acting president has been urged to expand his consultations from the moderate representatives of ethnic groups to those deifying the ethnic champions . We also call on the government of Nigeria to do everything in its power to protect her citizens and avert another spate of useless killings, and to listen to all aggrieved segments in a constructive and productive manner. It is the duty of government to make the country livable just as it is for citizens to work in building a country to which we are all happy to belong. This means an interrogation of our national memory, reinstating the teaching of a thorough curriculum of Nigerian history in primary and secondary schools, a celebration of our individual cultures and languages, and, above all, the application of justice where rights have been violated. Nwachukwu Egbunike, the author of this article, initiated and worked with other writers to draft the statement.